Phew, here they finally are! Totted up by the system then checked by our tech guys to remove any cheaty-poos. Congratulations to our winners and well done to the runners-up for getting so far. I’m looking forward to getting out to meet as many of you as possible in the coming months. There were a couple of really tight categories so hopefully the runners-up will be back for another go next year. 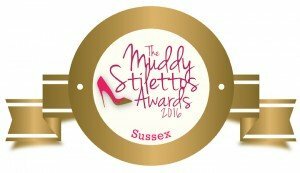 The Muddy Stilettos Awards have been run across 11 counties so if you live near the border don’t forget to check out Muddy Kent and Muddy Surrey‘s winners too! I hope you’ve discovered some great new local businesses from the process as well as being reminded of old favourites – I know I have. Thank you to everyone who took part and voted – the awards will be back in 2017!